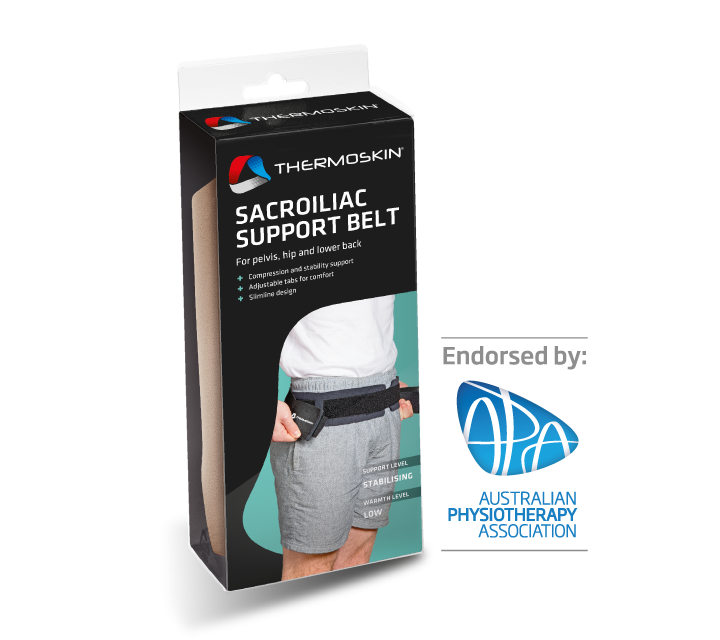 Sacroiliac Support Belt – Thermoskin – Supports and braces for injury and pain management. Product contains a synthetic fibre, which may cause allergic reactions. Should an irritation or rash develop, discontinue use and seek medical advice. If pain persists, discontinue use and consult your medical professional. It is recommended to place the product in a delicates washing bag. Machine wash in cold water. Drip dry. Do not wring, tumble dry, bleach or dry in direct sunlight. It is important that you choose the correct size for maximum product benefits. 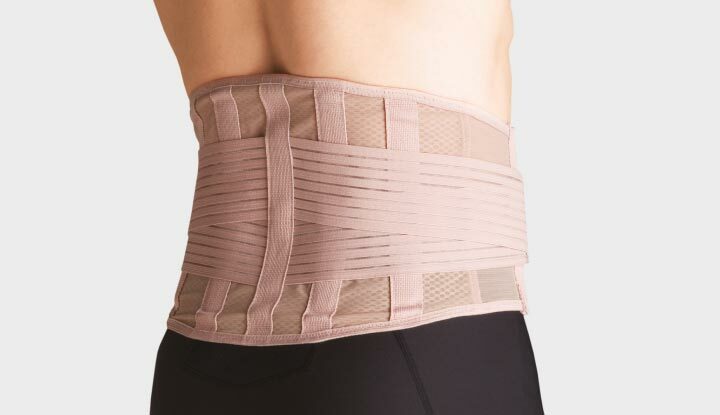 Provides pain relief and compression for muscle injuries and general lower back dysfunctions; injuries to the lumbar discs and the sacro-illiac joint. 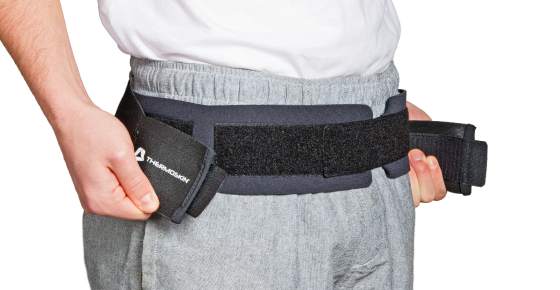 This product has two flexible internal stays for additional support and adjustable elastic side straps for extra compression. 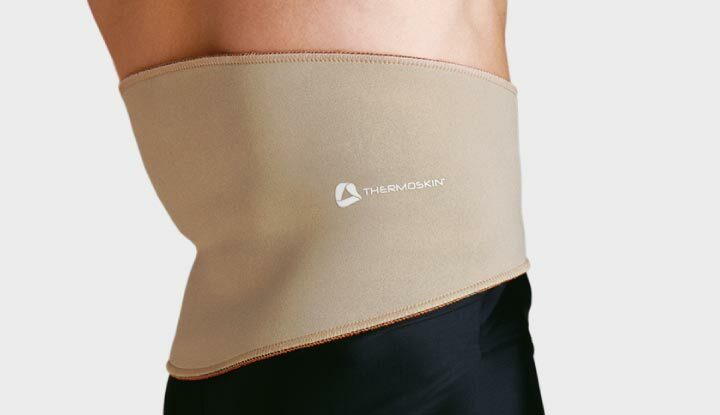 Provides protection, heat and support for the groin /upper thigh and hip area. It is useful in the prevention and rehabilitation of abductor/quadricep strains, hip displacement and tendonitis. 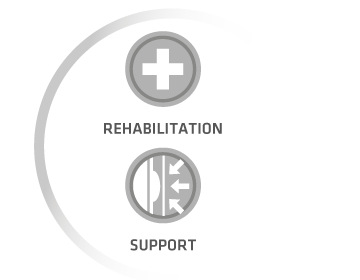 Flexible front pads provide support and compression to inguinal hernias that have been diagnosed by a medical professional. 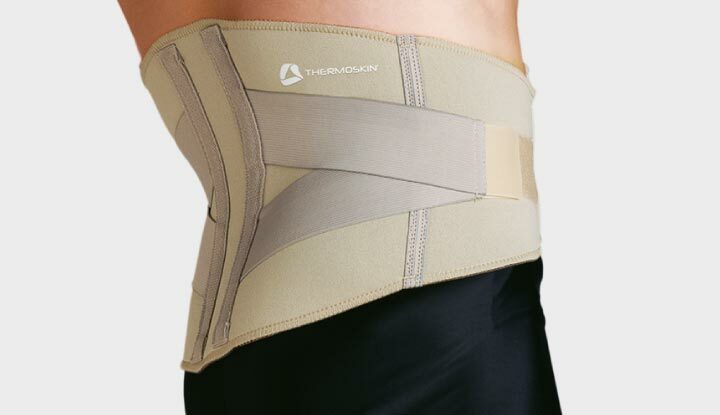 Provides compression and support for general lower back dysfunctions. Elastic Back has 4 internal stays for additional support, adjustable elastic side straps for extra compression, and lightweight breathable material for wearer comfort. Provides protection, heat and mild support to muscle injuries and general lower back dysfunctions.